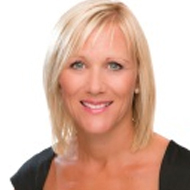 Le-anne currently manages and oversees all Casual Leasing services for YFG Shopping Centres. Previously working for Byvan/FPD Savills and Grosvenor Properties, Le-anne has more than 20 years of experience within Shopping Centre Administrative and Casual Leasing roles. Le-anne’s proven track record has grown the Casual Leasing income for YFG Shopping Centres over a six year period, and her determination and ability to introduce new clients to the portfolio continues to strengthen this area of revenue.